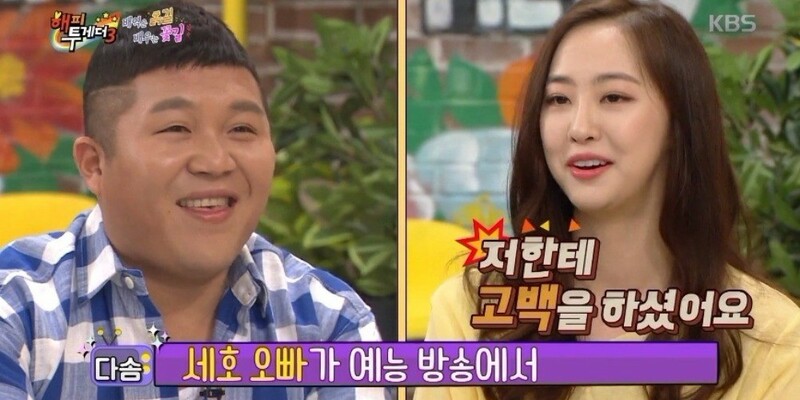 Dasom shared how she was scared of Jo Se Ho. 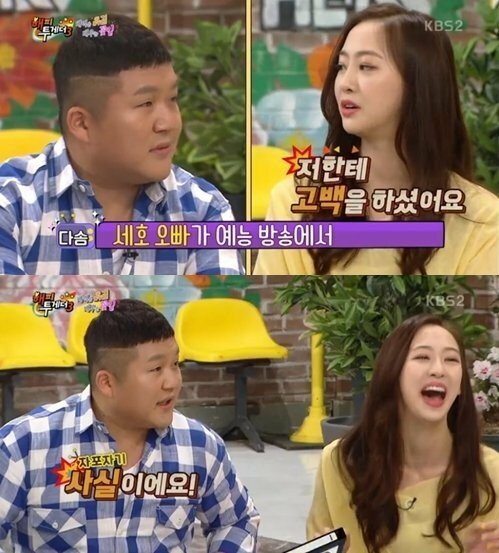 On the April 26 airing of KBS�'Happy Together 3', Dasom revealed, "Jo Se Ho confessed to me when we were on a variety show together on my early debut days." She continued, "It felt so sincere. It was a show but he was more than just a fan. He made an album and gifted it to me. He also danced to Taeyang's 'Look Only At Me'. It was nice that he put so much effort but I was scared."